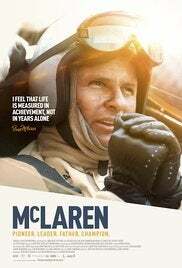 Its a nice watch... seeing the story of the man behind the cars. How he started.. raced...his life story. It takes you back to the days when cars were designed for aerodynamics and horsepower to achieve insane speeds. And everything was mechanical, no help from electronic gadgets or computers.